The Tandem Climate company is engaged in designing, selling, grouping and installation of climate engineering systems residential, commercial and industrial use. That is why the online store development on the CMS Webasyst Shop-Script was requested to qualified professionals such as RAmonka Studio. The site consists of information pages, online store and blog. 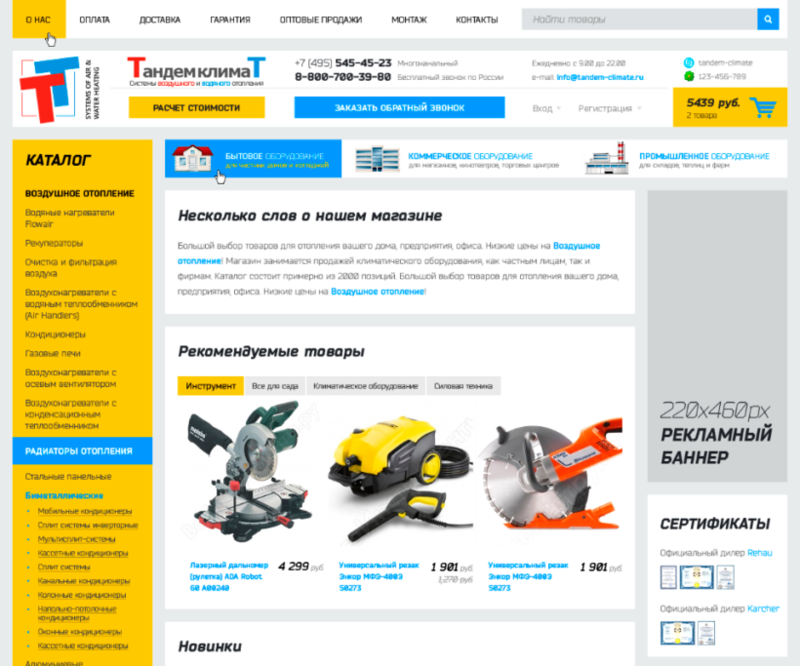 In addition to the standard functions we developed numerous of online store modules, plugins and icons.